Video: Tim talking and playing in paradise with a 12-piece band and a few billion raindrops! Last June a windswept and snazzily attired Tim wowed the Eden Sessions crowds, at the Eden Project in Cornwall, with his Large Band: bassist Pete Clements, Brad Webb on drums, guitarist Tristan Cassel-Delavois and a big horne section. Those of you who attended might remember it as a soggy but he’s worth it spectacular show set amongst the lush gardens of Eden and beautifully lit space age Biomes… in a sustained English summer downpour! Oliviers: Vote for Matilda in the BBC2 Audience Awards! In April, last year, having received the maximum possible ten nominations, the Royal Shakespeare Company’s production of Matilda The Musical, for which Tim wrote the music and lyrics, skipped away with a Guinness World Record breaking SEVEN 2012 Laurence Olivier Awards, including Best New Musical! This year Matilda The Musical is listed for yet another: The BBC Radio 2 Audience Award, which is a chance for theatre audiences to bestow this accolade on their favourite long-running London show. You can take a look at all the razzmatazz and vote here. As you vote you’ll automatically be entered into a prize draw to win tickets to the fabulous 2013 ceremony at Royal Opera House on the 28th April! Have you seen Matilda? Then what are you waiting for? Pop along and vote! Write Here Write Now with Matilda And A Writing Challenge! The record breaking, multi-award winning Matilda The Musical, for which (as if you didn’t already know) Tim wrote the music and lyrics, continues to play to packed and excited houses at the Cambridge Theatre in London’s West End, delighting and captivating people of all ages. 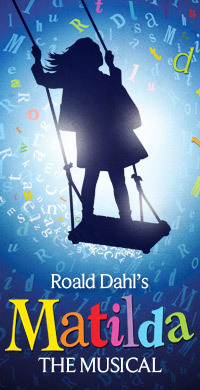 Inspired by Matilda’s love of books and storytelling, the RSC Education Department today launched Write Here Write Now with Matilda, an interactive website designed to encourage children to become avid readers, creative writers and playwrights themselves. There are filmed interviews with Tim and Dennis Kelly, who wrote the script adaptation, and as they bring their storytelling methods to life, with the help of comprehensive teacher notes, they aim to give teachers and children insights into the creative processes involved in writing and staging Matilda. To celebrate the launch of Write Here Write Now with Matilda, the RSC is setting a National Writing Challenge inviting students aged between eight and thirteen to create an original script or song. Six songs or scenes will be selected, fully rehearsed and then performed live in a special performance by the West End cast at London’s Cambridge Theatre in June 2013, in front of the students and their classmates. Everyone attending will then be able to stay on to see Matilda The Musical that evening! To get started and learn more about the challenge visit the website here and take a look at the videos and other resources available. Teachers will find that the RSC will also be providing Teacher Professional Development days on how to use Matilda The Musical as a springboard for creative writing with children. Showtime to show ‘Tim Minchin And The Heritage Orchestra Live at the Royal Albert Hall’ in the US! All you lucky Americans are probably already watching Tim’s TV acting debut, as the flamboyant and hilarious rock star Atticus Fetch, in Season 6 of Californication on Showtime. (You can check out the details here if you missed that particularly exciting announcement – they’ve only just aired episode two and Tim’s in ten of them, so plenty of time to catch up). Showtime clearly want to showcase Tim’s real life rockstar-iness too and so they’ll be screening the spectacular Tim Minchin And The Heritage Orchestra Live At The Royal Albert Hall on Tuesday 19th February at 11:00pm ET/PT. The show has had to be edited quite heavily for the slot BUT plans are already afoot to release the DVD of the full show in the USA and we’ll be sure to let you know as soon as it’s available. This link will take anyone who fancies it to a blog from way back in November 2011, where Tim, his band members and the producer of the Heritage Orchestra talk about the orchestra show. Ever wished you could hear Tim talk more and play piano less? Well here’s the perfect opportunity for you! On the 20th February 2013, Tim will be heading to the Guy Nelson Hall in Warwick to talk on stage with his university friend H Anthony Hildebrand, who is currently the current Writer in Residence for the town’s literary festival, Warwick Words. The event should see discussion about Tim’s writing techniques, his literary heroes, his role in adapting Matilda The Musical from the story and what the future holds for him. There may also be talk of what he was like back before he became a big, massive megarockstar, although we’ve been told that, alas, there won’t be anything too scandalous brought up. Shame. Oh, and there might be some songs as well. Tickets are £18 and are available from this here link. Please also note that, unfortunately, it’s an 18+ event. this gig may contain strong language, but you knew that anyway, right? Sorry folks: this event is now SOLD OUT.